Finland is the only nation where all ports regularly freeze in winter, meaning icebreakers are indispensable to keep trade flowing. 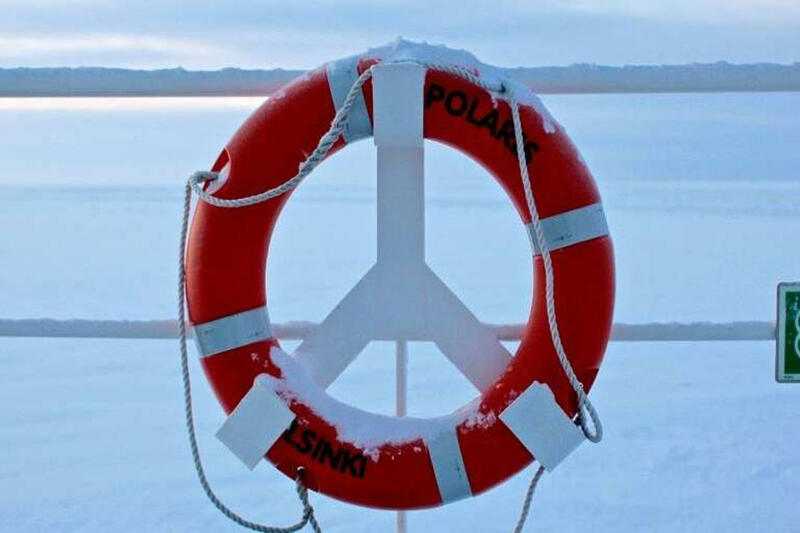 Finland’s new icebreaker, Polaris, is the world’s first to run on liquefied natural gas (LNG). The 128 million-euro ($145-million) Polaris will keep shipping lanes in the Baltic open for up to six months of the year. 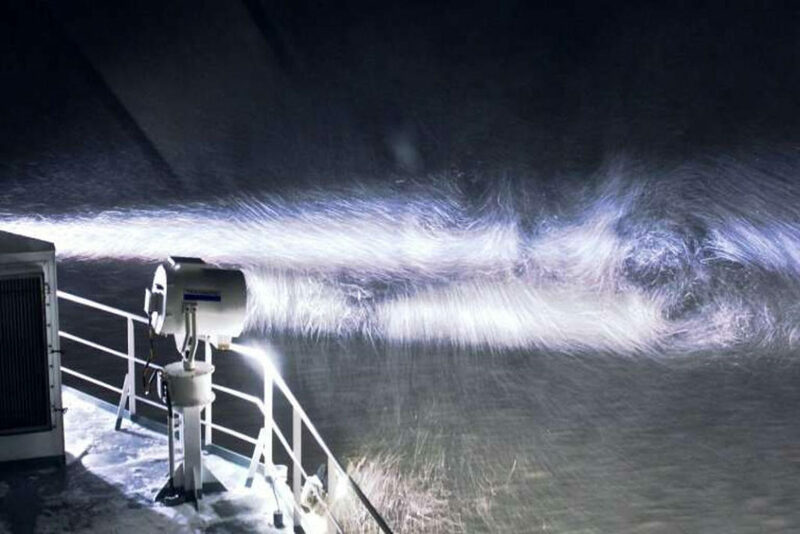 This month, for the first time, the 110-metre icebreaker filled up with gas from the newly built Manga LNG terminal in Tornio, northern Finland. Liquefied natural gas burns more efficiently and emits less carbon so it is widely seen as more environment friendly than coal or oil. Finland’s new icebreaker, Polaris, is the world’s first to run on liquefied natural gas (LNG), reports AFP. The steel behemoth pushes ahead, crunching the ice as it navigates the northernmost tip of the Baltic, considered one of the most polluted seas in the world. 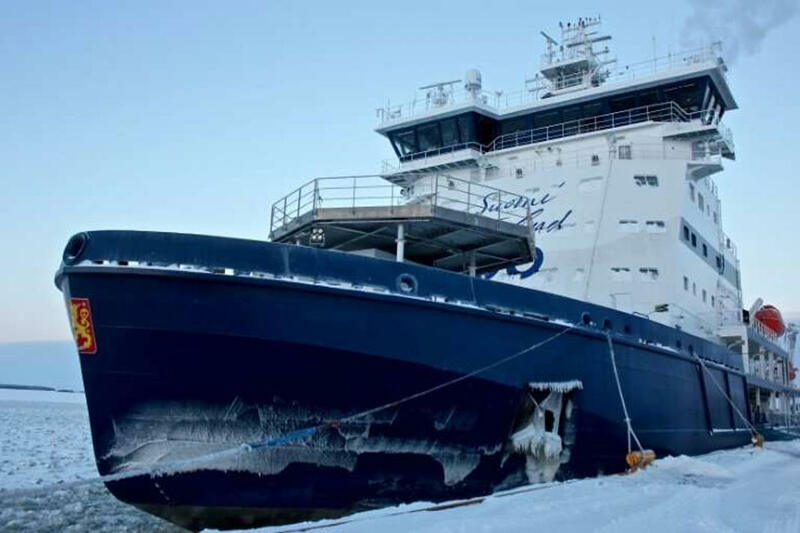 But unlike other icebreakers spewing diesel, this state-of-the-art ship boasts cleaner fuel. In the freezing darkness of a February morning, the immense Polaris, which at 10,000 tonnes weighs more than the Eiffel Tower, ploughs effortlessly through the half-metre (20-inch) thick ice. “I used to fly planes but I don’t miss it at all. In here it’s like driving a spaceship!” says second officer Valtteri Salokannel on the ship’s bridge, surrounded by satellite images of the ice and rows of coloured lights. The bridge shakes gently but the thick windows cut out the noise of the howling winds on deck and metallic clanging of ice against the reinforced steel hull. The 128 million-euro ($145-million) vessel is tasked with keeping shipping lanes open for up to six months of the year, allowing a constant stream of cargo ships carrying steel, paper products and chemicals in and out of the ports serving northern Finland and neighbouring Sweden. The ship’s captain, Pasi Jarvelin, boasts that Polaris is the most eco-friendly icebreaker in the world. “We don’t release anything into the sea, such as shower water, grey water—we take that back to land. 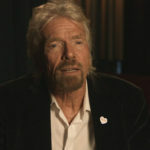 And the propellers use biodegradable grease,” he tells AFP. The 128 million-euro ($145-million) Polaris is tasked to keep shipping lanes in the Baltic open for up to six months of the year. But most importantly, it is the world’s first icebreaker to run on liquefied natural gas (LNG), a lower-carbon alternative to the diesel fuel which powers most large ships. “LNG is the cleanest known fuel that we can use,” Jarvelin said. Polaris has eco-friendlier credentials which are of increasing importance during the ship’s 50-year lifespan. 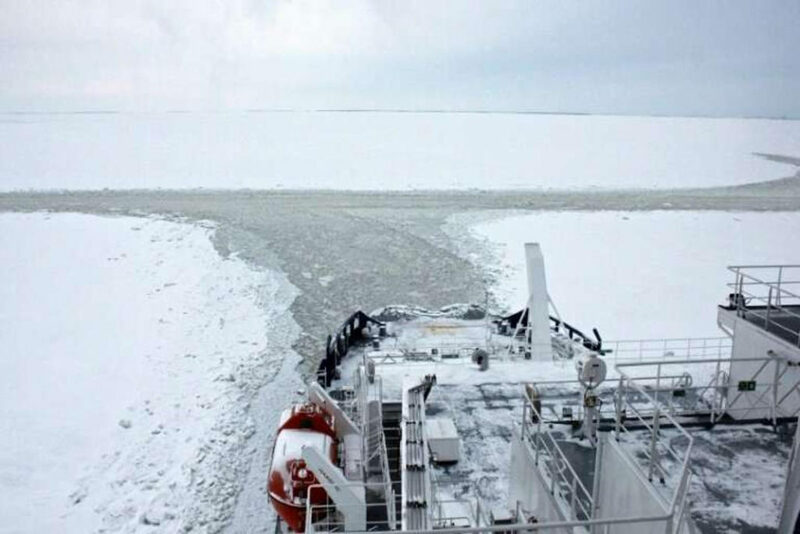 The region’s pristine white ice hides waters have been singled out by the international bodies, as in urgent need of action to reduce high levels of pollution. 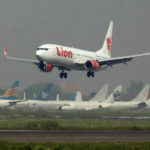 These include European Commission and WWF to name a few. Very little outside water flows into or out of the Baltic Sea, almost completely enclosed by nine countries including Russia, Germany and most Nordic states.This means chemicals from agriculture and other industry remain trapped in the water in increasingly strong concentrations, according to bodies such as the Baltic Marine Environment Protection Commission (HELCOM). 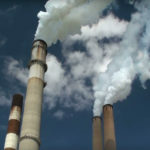 In addition, says the European Environment Agency, temperatures in the Baltic have risen over five times faster than the global average over the past 25 years. Until now, Polaris has been running on low-sulphur diesel oil, or filling up with natural gas brought in by lorry. 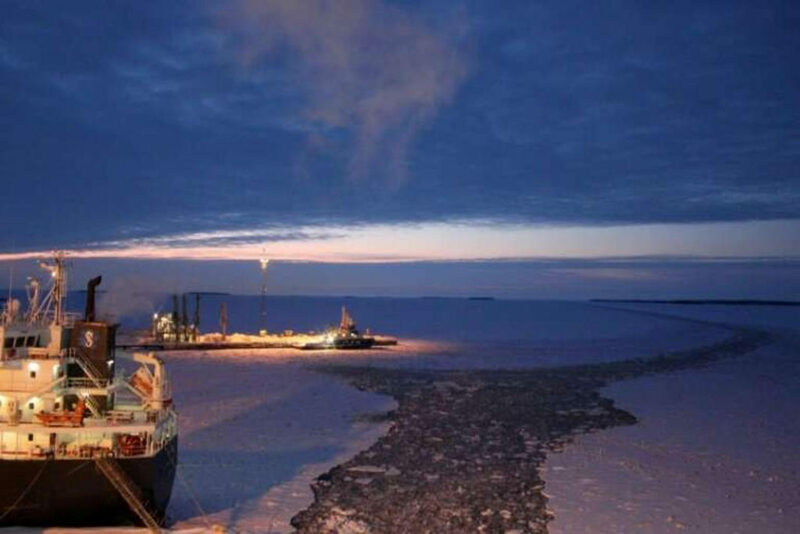 But this month, for the first time, the 110-metre ship filled up with gas from the newly built Manga LNG terminal, a storage facility perched at the end of a barren, snow-swept harbour in Tornio, northern Finland. The Manga terminal opened 15 months ago to supply natural gas to a local steel plant and other nearby industry. Refuelling the vessel, known as bunkering, took eight hours on its first run, as engineers busily monitored computer screens and sometimes adjusted the snow-covered valves, filling the ship’s two vast, 400-cubic-metre (14,000-cubic-feet) fuel tanks a little at a time to ensure the correct pressure and distribution. “It was a significant day,” Jarvelin told AFP after the ship had set off to sea again. “Now we’ll always have a supply of LNG up here in our home, Tornio.” Although liquefied natural gas is a fossil fuel and therefore generally considered non-renewable, it is widely seen as more environmentally friendly than coal or oil because it burns more efficiently and emits less carbon. 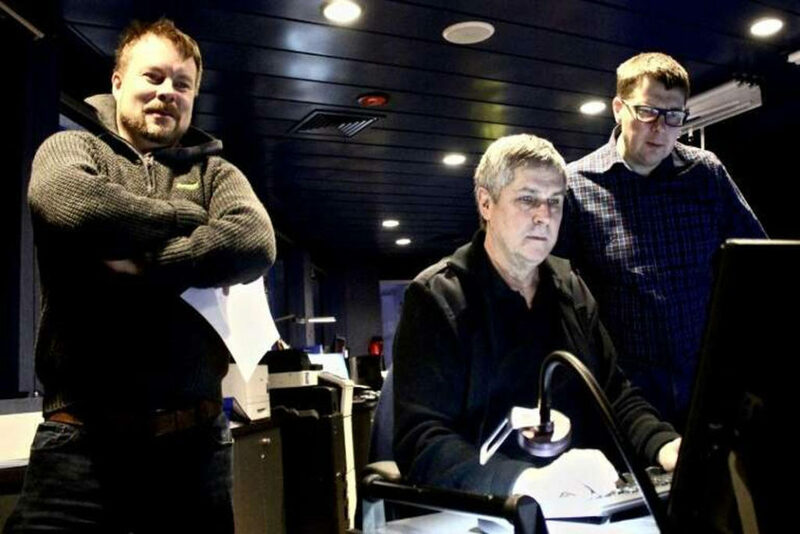 Second officer Valtteri Salokannel (L) and ship captain Pasi Jarvelin (C) are among around 16 crew members on board Polaris. 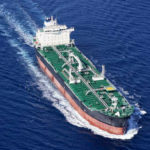 Running on LNG is also expected to prove cheaper than diesel over the ship’s lifetime. “Polaris is the only icebreaker in the world that runs on LNG,” maritime technology professor Pentti Kujala, of Aalto University, Finland, told AFP. 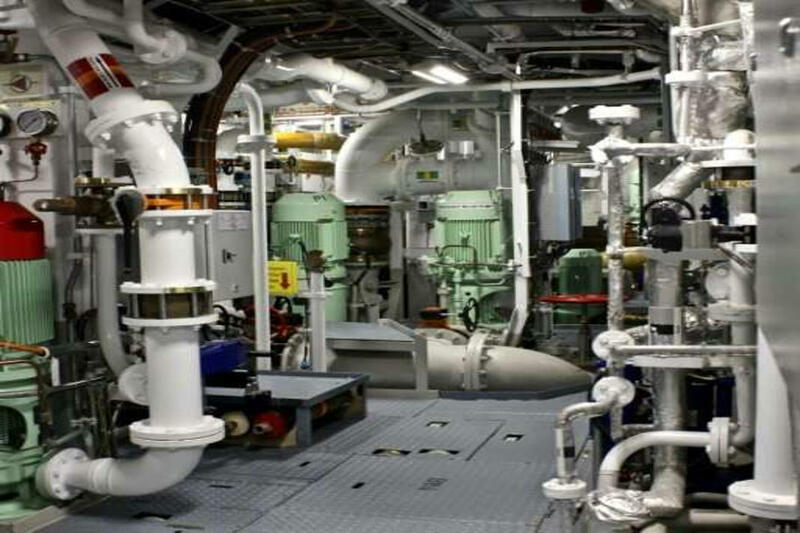 “The big variation of power you need for icebreaking can sometimes cause challenges for LNG engines, so it’s less common than diesel,” he said. In exceptionally tough conditions, Polaris can switch its engines to diesel. Built in 2016 by Arctech Helsinki Shipyard, it is also equipped with pumps, filters and inflatable booms. These booms are usedful incase of oil spills, which are considerably harder to clean up in icy conditions than in open water. Much of the oil spill risk comes from the southern Baltic, known as the Gulf of Finland. It has some of the heaviest marine traffic in Europe, with levels set to rise dramatically over the coming decades. The Nordic country’s expertise means Finnish companies have built two thirds of the world’s 150 major icebreakers. Unlike most other icebreakers, the Polaris has a sauna on board; meant to help keep the around 16 crew members warm during their 20-day stretch at sea. This is a Finnish ship, after all!